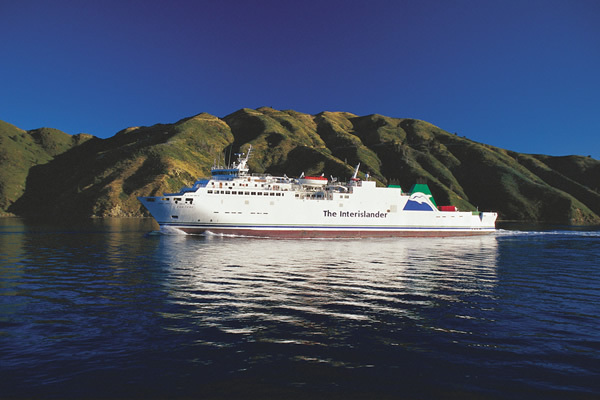 The Interislander's three ferries - Kairarahi, Aratere and Kaitaki, offer a convenient and regular daily rail, commercial freight, passenger and car ferry service crossing Cook Strait from Wellington in the North Island to Picton in the South Island. Your Interislander ferry journey starts from Wellington, with it's picturesque harbour, crossing Cook Strait before entering the sheltered waters of the magnificent Marlborough Sounds finishing at Picton located in a sheltered marine harbour, where you will have time to experience this charming small town before connecting with various bus and coach services to other destinations in the South Island. There are special combined bus and ferry fare and travel, if traveling to and from Paihia (Bay of Islands) Auckland, Hamilton, Rotorua, Taupo, Palmerston North or Wellington to or from Picton, Nelson, Blenheim, Kaikoura or Christchurch. Interislander ferries offer a range of on board facilities for you to enjoy as you view of some of New Zealand's most unique scenery. Enjoy a movie, a drink in the bar and anything from a snack to a three course meal. A nursery, comfortable passenger areas and lounges with reclining seats with head rests, plenty of open deck space, children's play area and an Information Centre. Whether you're in New Zealand at the moment, or planning your trip to New Zealand from elsewhere in the world, you can reserve your space on an Interislander ferry now. Bookings for foot passengers on an Interislander ferry are essential and are usually available up to six months in advance. Foot passenger space is limited - especially if you are travelling during school and public holidays, so its recommended that you try to book early. All bus and coach services to and from Picton - depart and arrive at Interislander's Picton Ferry Terminal and to and from Wellington - depart and arrive at Wellington railway station. 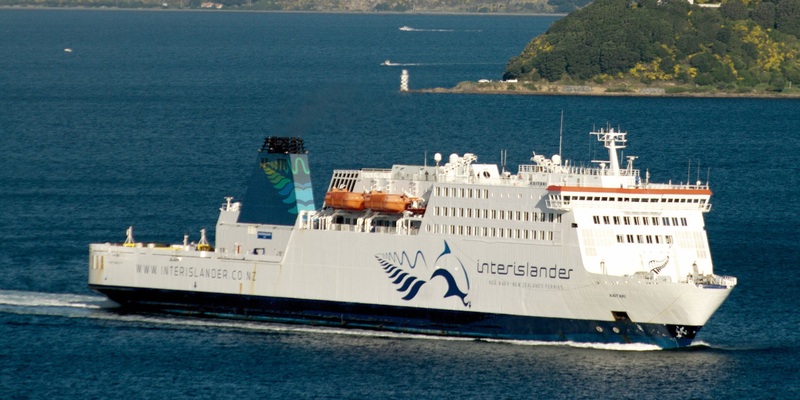 There is courtesy transfers between Interislander's Wellington Ferry Terminal and Wellington Railway Station. Crossing time is 3 hours 20 minutes for the Kaiarahi, Aratere and Kaitaki ferries. 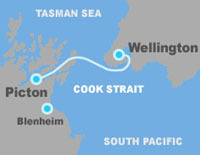 Ferry travel between the North and South Islands are included in the range of 'Book As You Go' flexi bus and ferry passes.